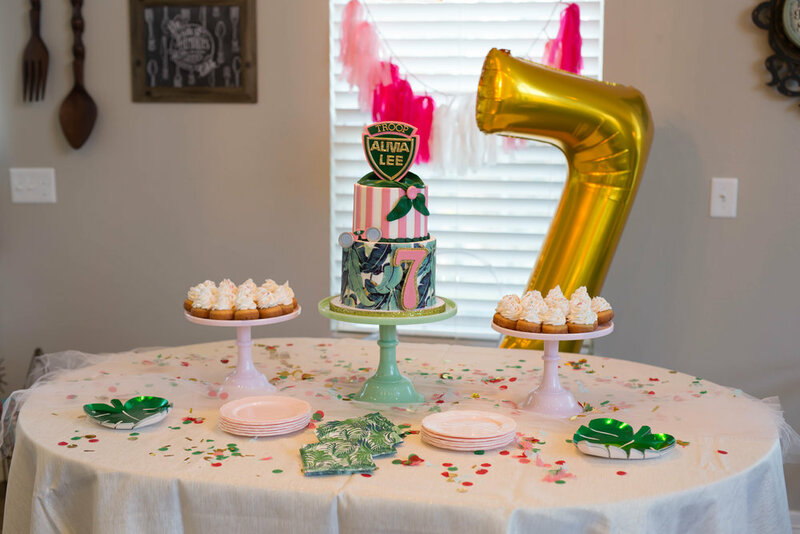 You know it was a good party when you have to divide it up into two separate blog posts ;D In all seriousness though, y'all know I love throwing a themed party! 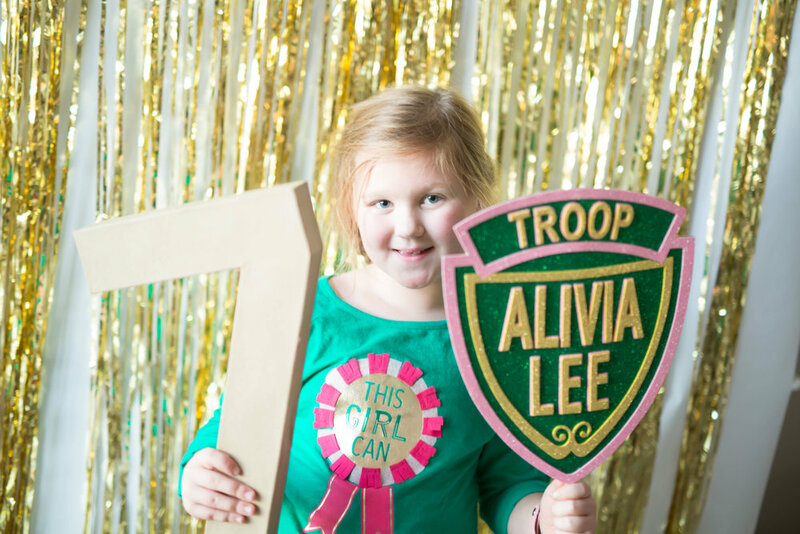 And when Alivia absolutely LOVED the Troop Beverly Hills movie the very first time I showed her, we couldn't wait for it to be incorporated into her Seventh Birthday Party theme, Troop Alivia Lee! 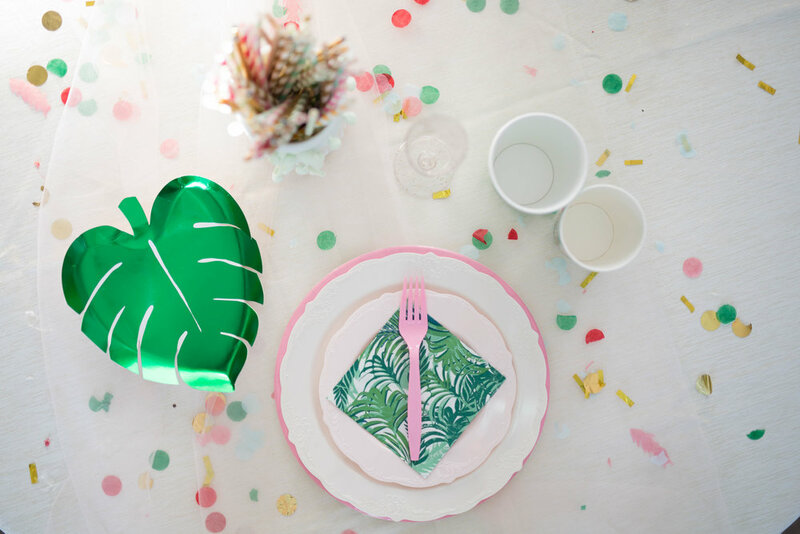 Pink...white...green...palm print..."glamping," it all came together perfectly which is why part 1 is all about the details! I really had fun pulling this one together. Lots of inspiration was pulled from us actually watching the movie (at least three times)! I LOVE the part when Phyllis Nefler takes the girls camping for the very first time and they end up at The Beverly Hills Hotel. 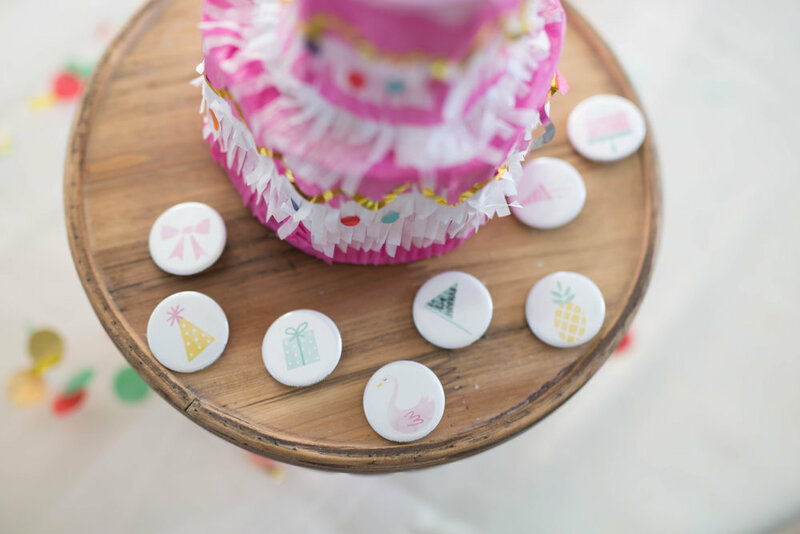 For some reason I can totally relate and for another reason this scene had LOADS of decor ideas - cue the pink, palms, and stripes! What a thrill indeed! Didn't it come together fabulously?! I know I say it every year, but this was LITERALLY one of my all time favorite parties. 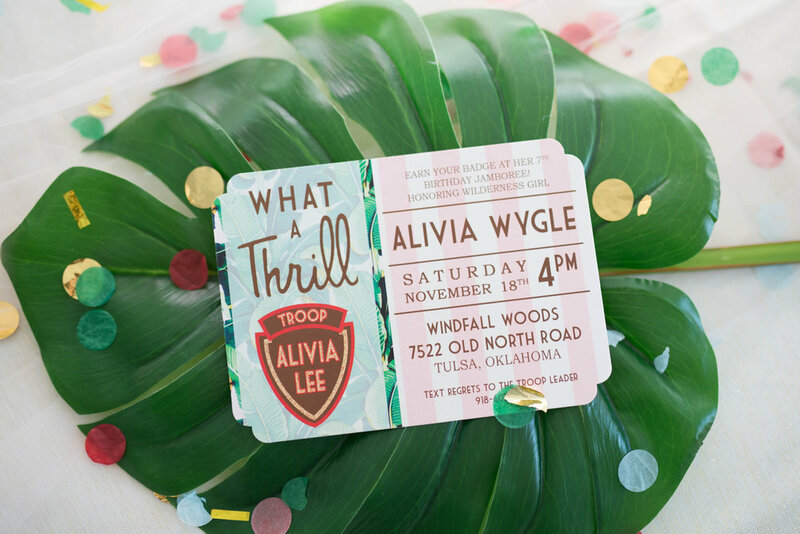 This was not only a fun party to plan and host but to also watch all the kiddos just be kids - they had so much fun exploring outside, made super adorable things, and enjoyed the simplicity of being little "campers" with Troop Alivia Lee! 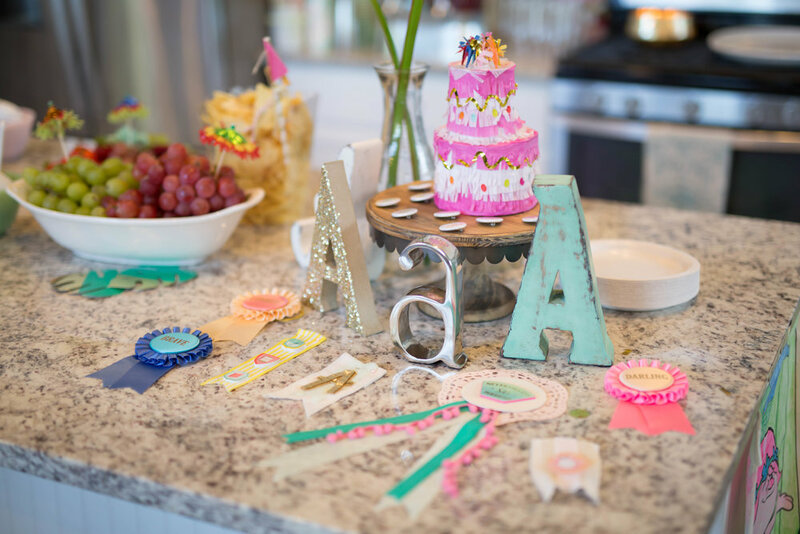 I can't WAIT to share the party pics next time from the crazy talented Abby Sweet in part 2. Thank you so much for stopping by! 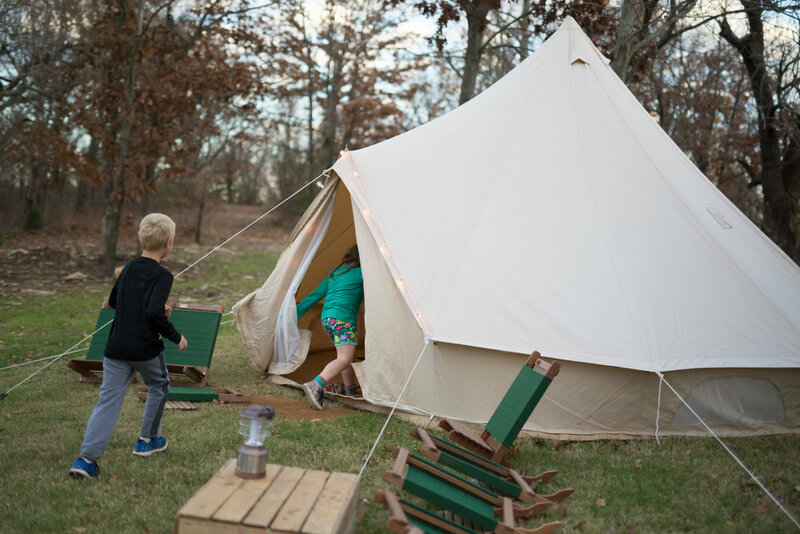 Glamping Tent Rental - HOMMA CAMP CO.
*This post is NOT a sponsored post. 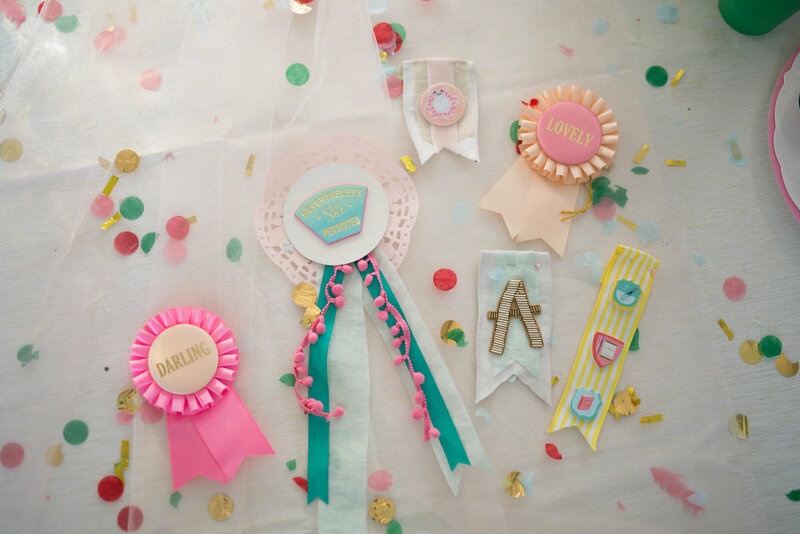 I did not receive financial or any form of compensation from any of the brands mentioned here.